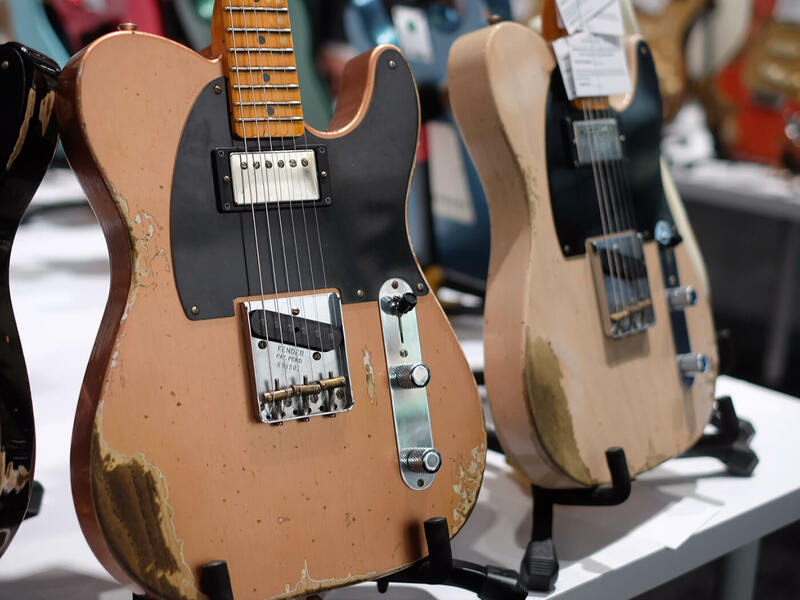 Fender Custom Shop has some big reveals for Winter NAMM: an all-new Prestige collection, refreshed Annual collections, brand new amplifiers and additions to the Artist Signature series. 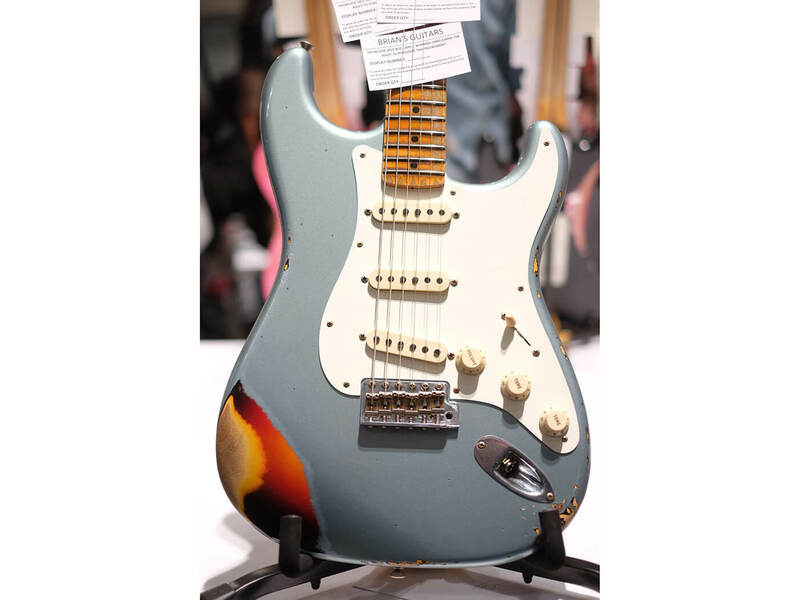 The latter will feature the likes of the Stevie Ray Vaughan Signature Stratocaster and Yngwie Malmsteen Signature Stratocaster. 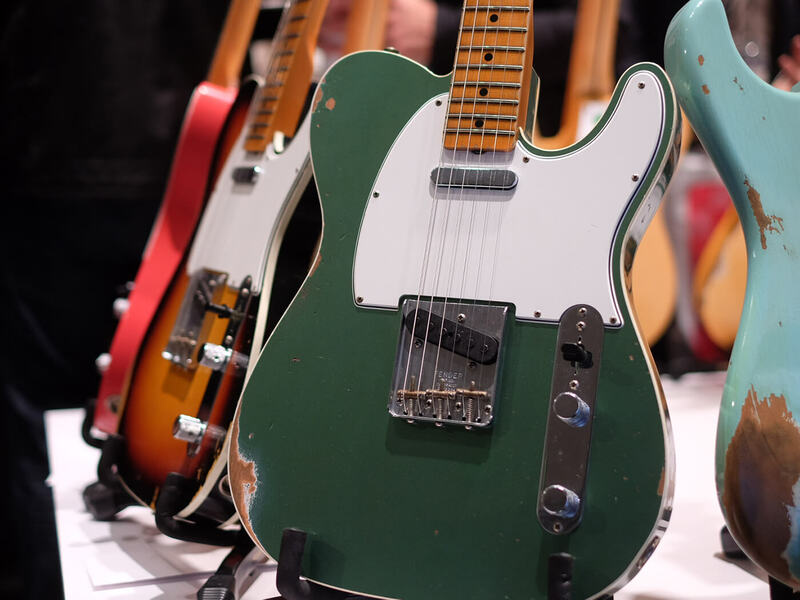 Each year, Annual collections of models are conceived and created in the Fender Custom Shop to showcase the latest innovations and developments – everything from pickup design to wiring and finish processes to wood combinations and more. 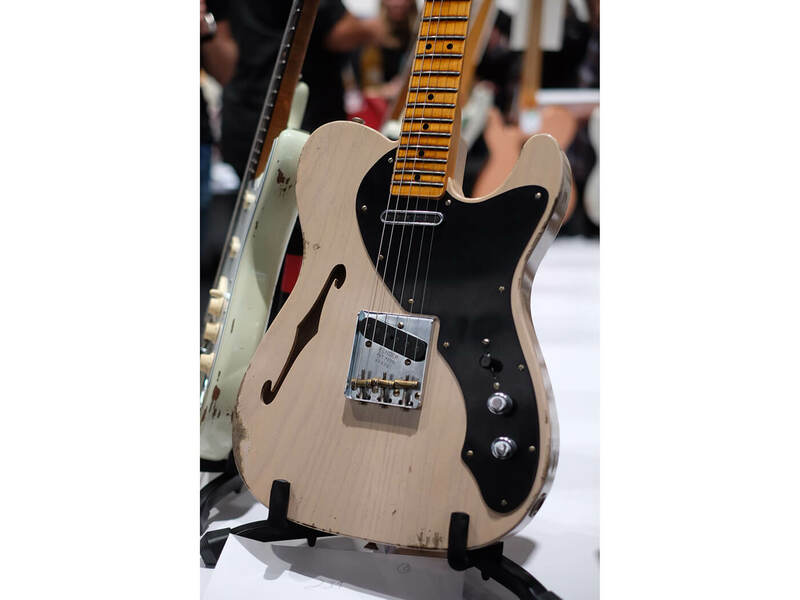 Annual Teambuilt collections making their debut at Winter NAMM are the Limited Edition, Time Machine, Postmodern and Vintage Custom. 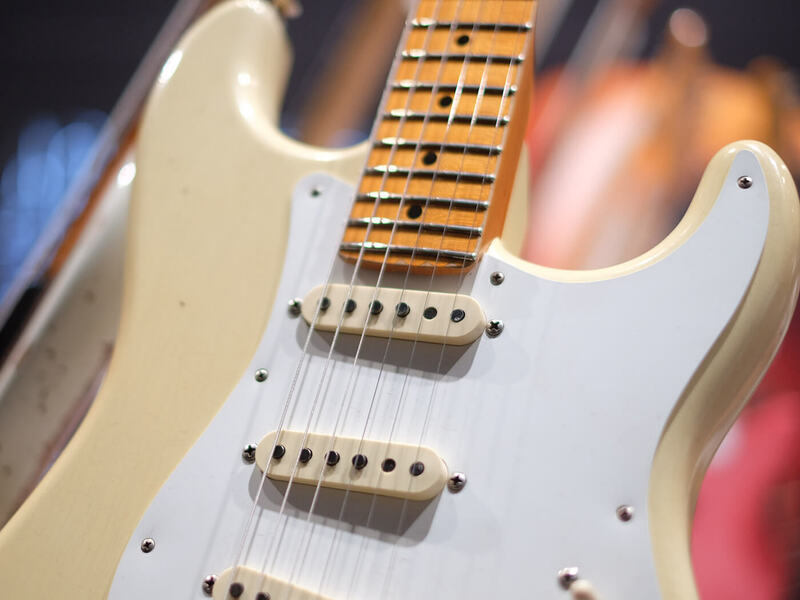 In its second year, the Vintage Custom Series celebrates beloved Fender classics and unearths truly unique rarities, such as the flat-lam slab maple cap fingerboard on the Vintage Custom `62 Strat. 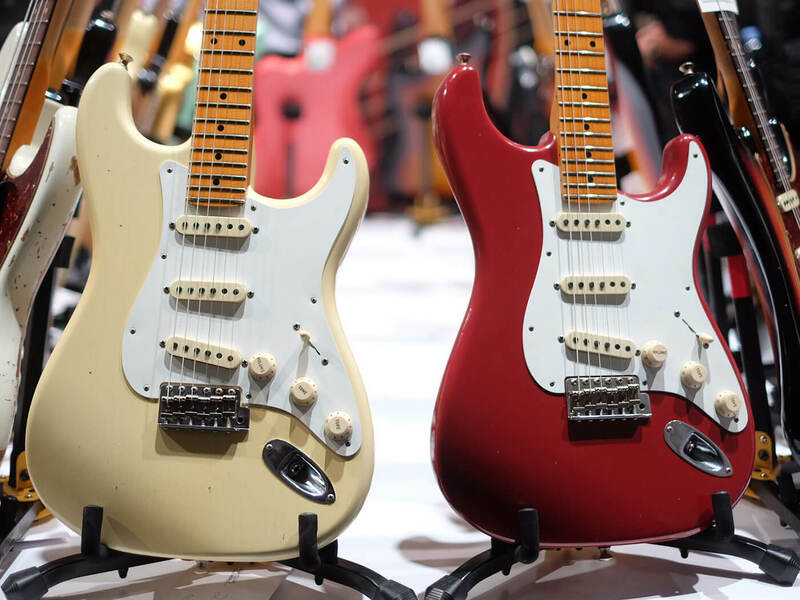 Stevie Ray Vaughan Signature Stratocaster and Yngwie Malmsteen Signature Stratocaster both make their way into the Fender Custom Shop Artist Signature series line-up after a long run in Fender’s production line. 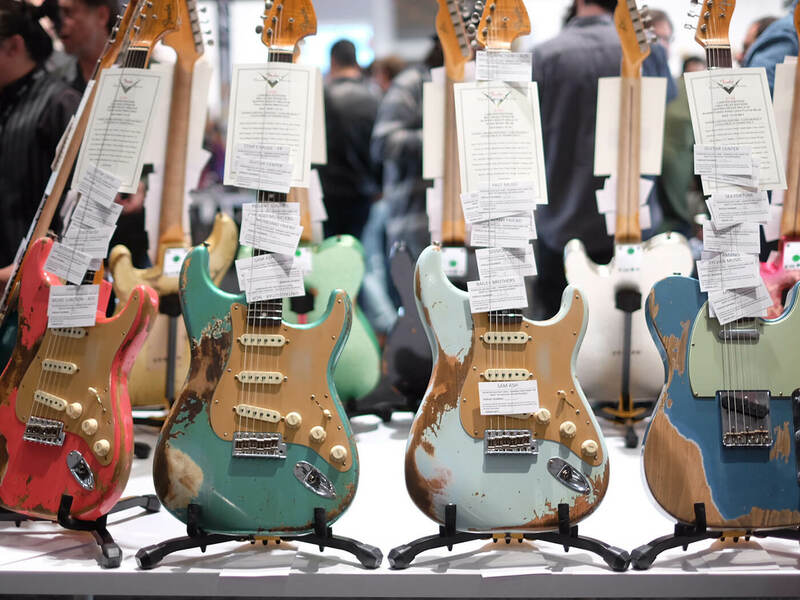 Making is debut at Winter NAMM 2019 is the 2019 Prestige Collection, featuring 11 one-of-a-kind Masterbuilt guitars and basses from the Custom Shop’s most-esteemed Master Builders. 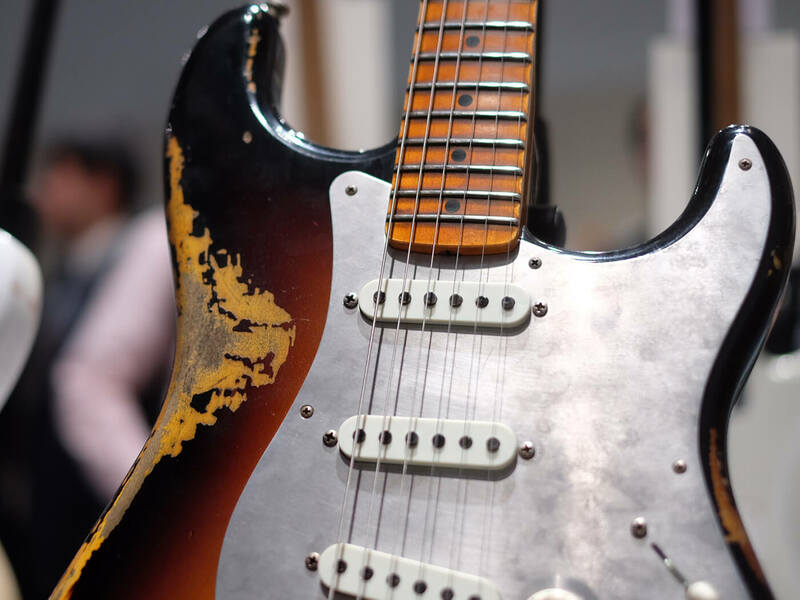 Paul Waller’s Building Block Strat guitar is made of toy building bricks. 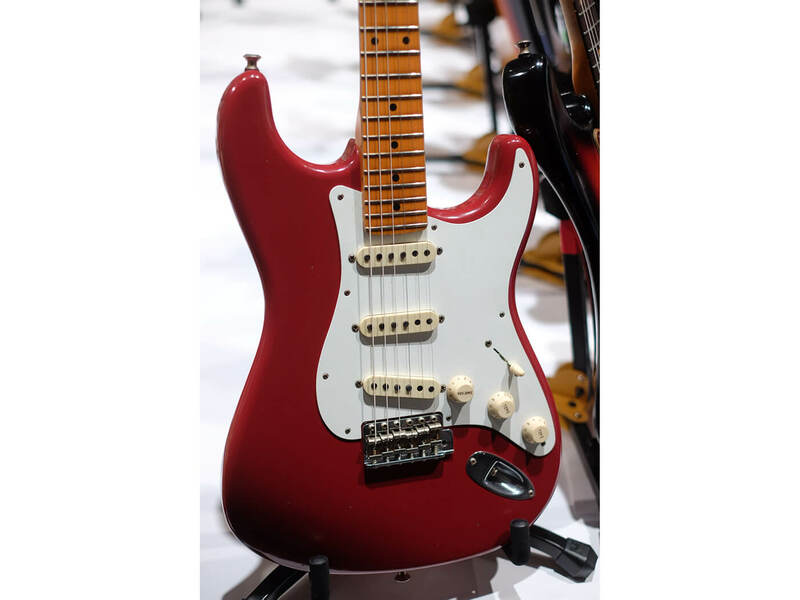 Paul Waller has toyed with the idea of making a guitar like since his buzz-worthy Cardboard Strat was released in 2015. 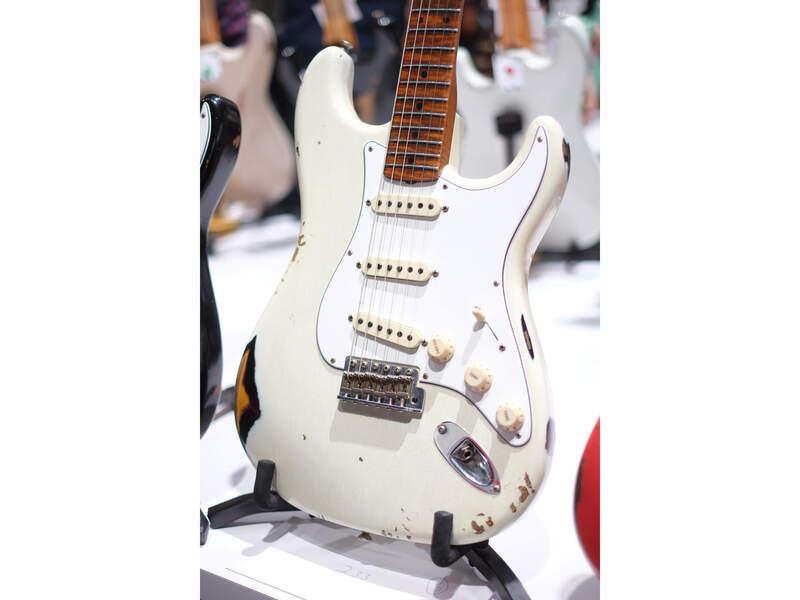 Features include handmade hardware that emulates traditional brick pieces, only made of materials suitable for guitar construction. The vibrant traditional colours of toy building bricks work so well in blending the two mediums. 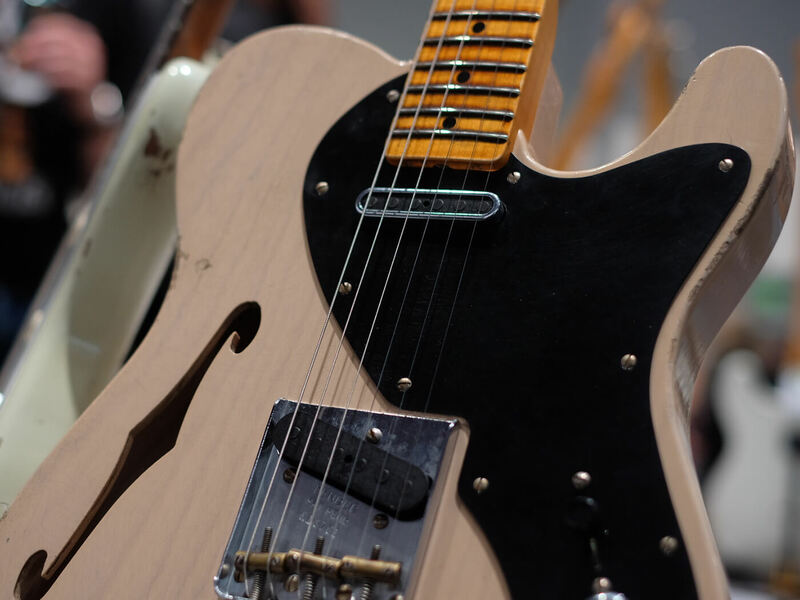 Two guitars will be made with two matching amps masterbuilt by Jim Dolmage – dubbed the Building Block Deluxe Amp. 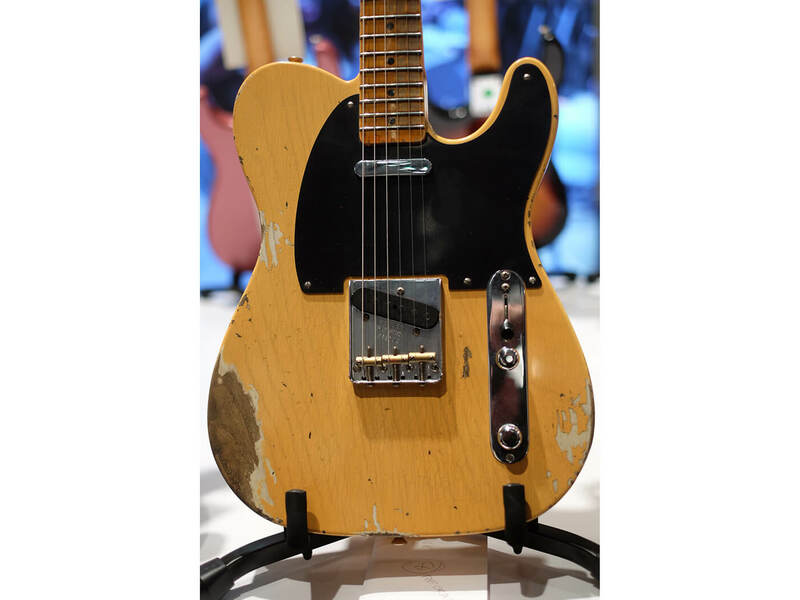 This is a one-of-a-kind showpiece built on the framework of a ’57 Custom Deluxe amplifier. 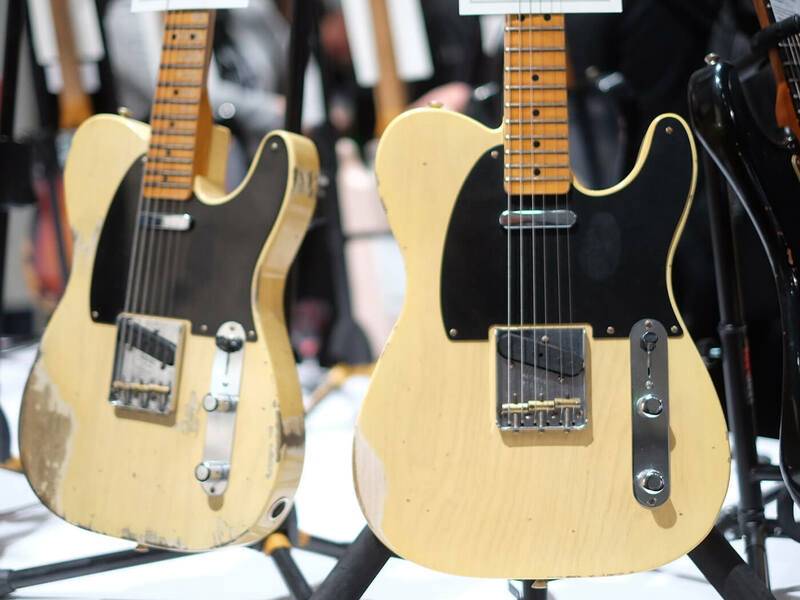 Thousands of toy bricks were painstakingly arranged to approximate the look of Fender’s iconic tweed-covered amplifiers. LEGO® is a trademark of the LEGO Group, which does not sponsor, authorize or endorse this project or product. 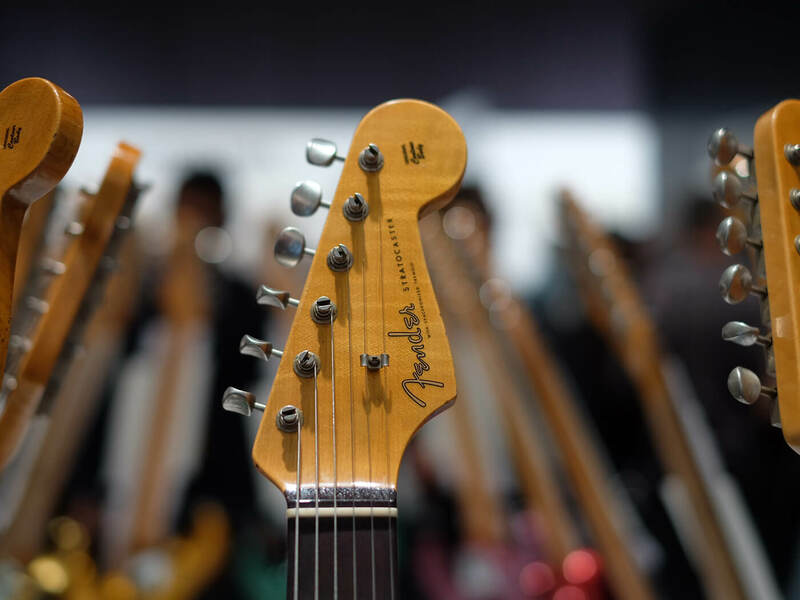 Guitars and amps are not for sale. 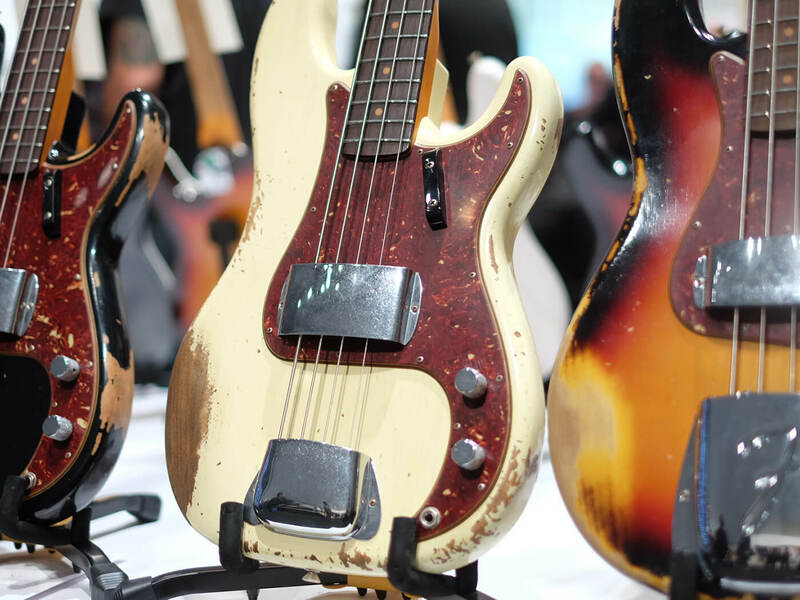 Jason Smith’s Luna Y Sol is a custom Precision Bass inspired by his meeting with artist Madeline Hanlon at last year’s Winter NAMM show. Hanlon is known for her artistic style of wood burning, which was integrated into the Mexican folk art sun and moon design. 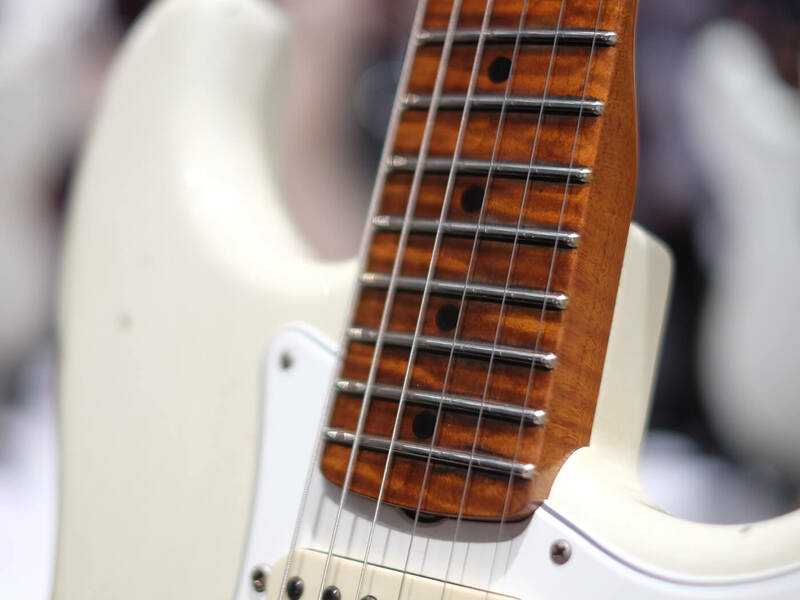 Smith’s favorite aspect of the bass is its overall aesthetic appeal – from the detailed wood-burned image and thematic red coral inlays to the rich, warm wood tones, smooth blend of colours and the feel of the satin lacquer topcoat. 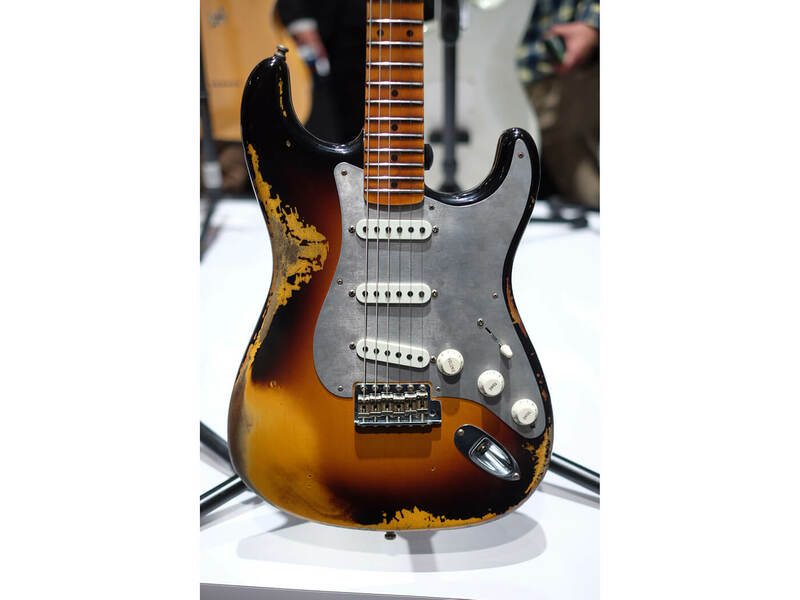 Yuriy Shishkov’s Silence Stratocaster is an abstract art guitar piece with watercolour painting, silver cloisonné, rubies, diamonds and sapphires. It can be viewed from 360 degrees, and Shishkov encourages those witnessing it to create their own “meaning” as an observer. Kyle McMillin’s The Exotic Hybrid was inspired by a design he made in his garage nine years ago. 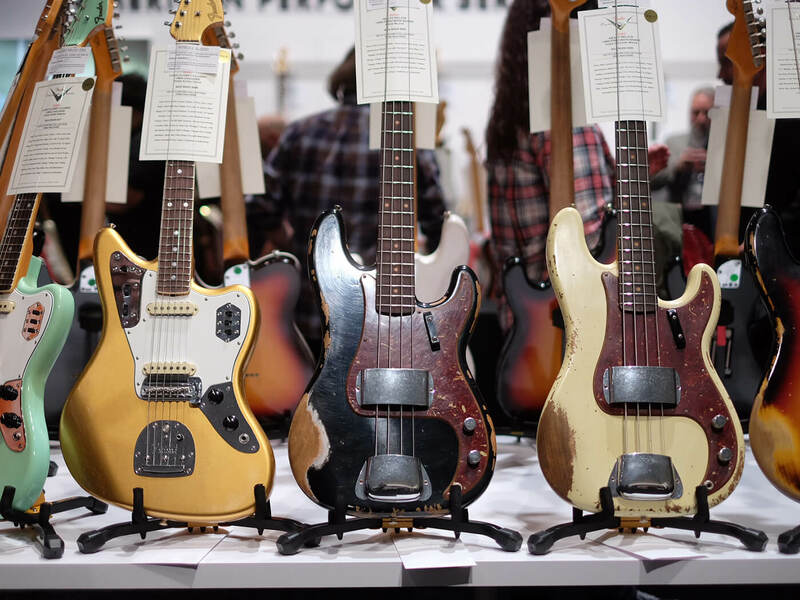 “I made some minor changes that I wish I had done back then, and also redesigned the guitar to incorporate Fender’s traditional body shape and headstock,” McMillin said. 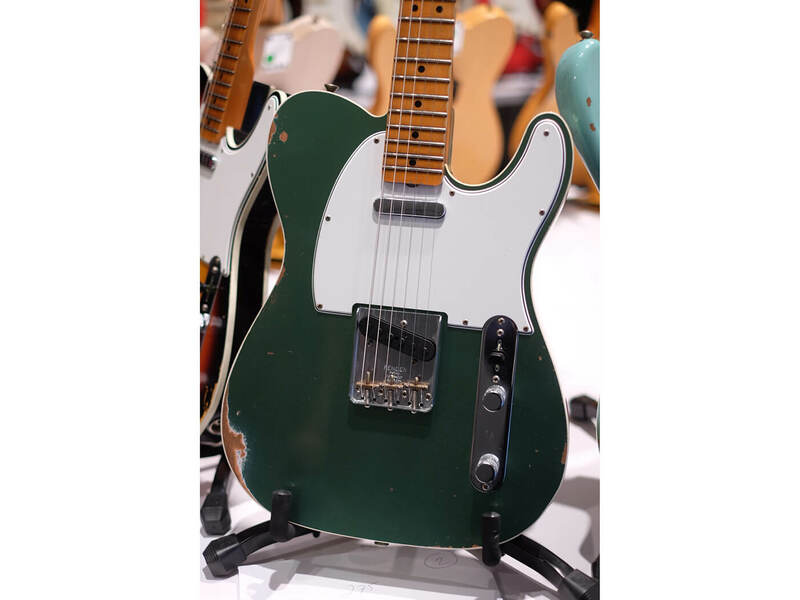 The Exotic Hybrid is ideal for players who love an exotic look and variation on Fender’s traditional designs. 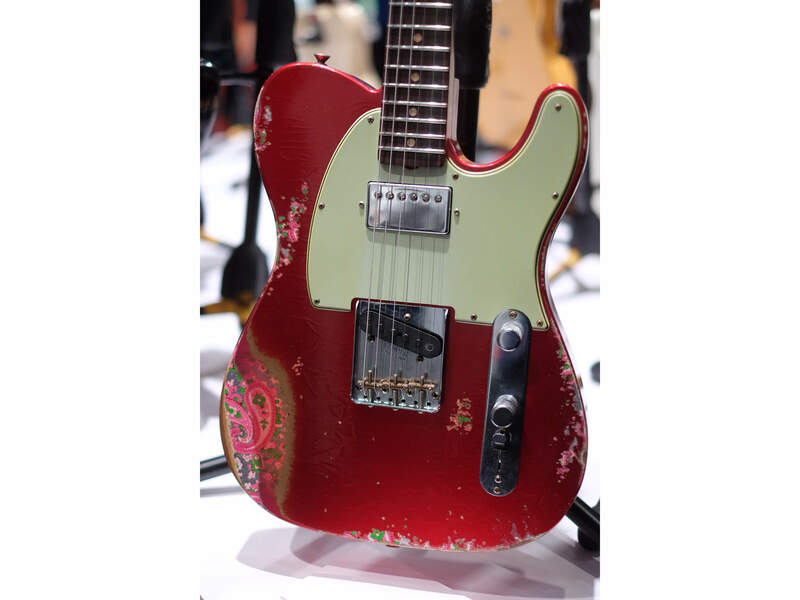 There are many compelling features about this Tele starting with the Red frosted duco lacquer finish. 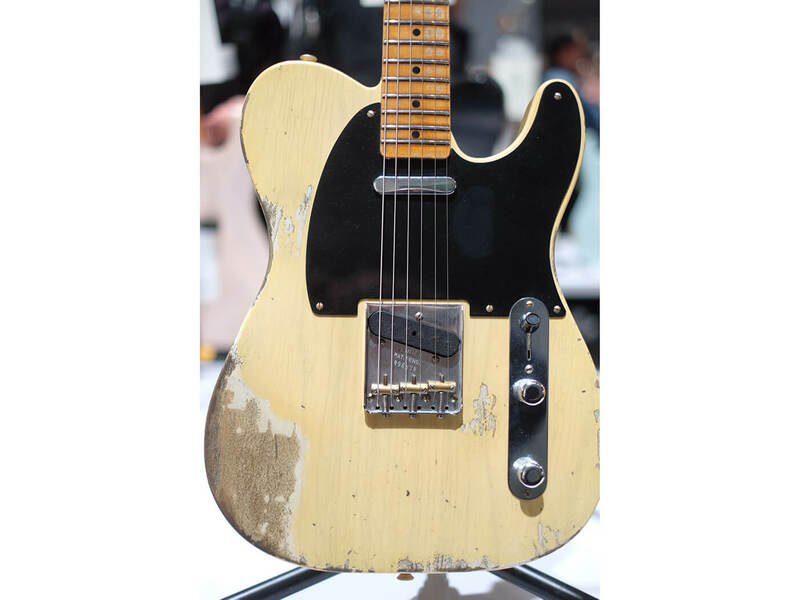 Duco finishes were first made popular in the 1930s. 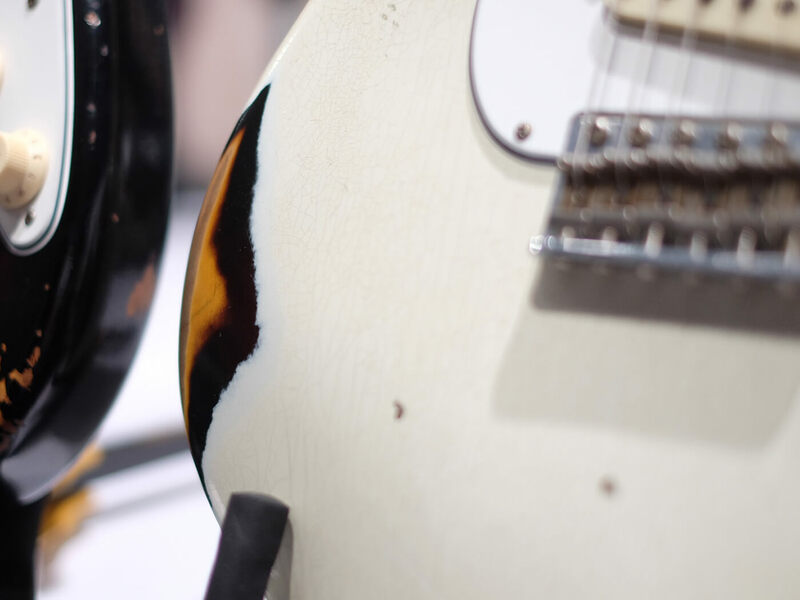 As the duco paint dries, it crystalizes and creates a stunning look. 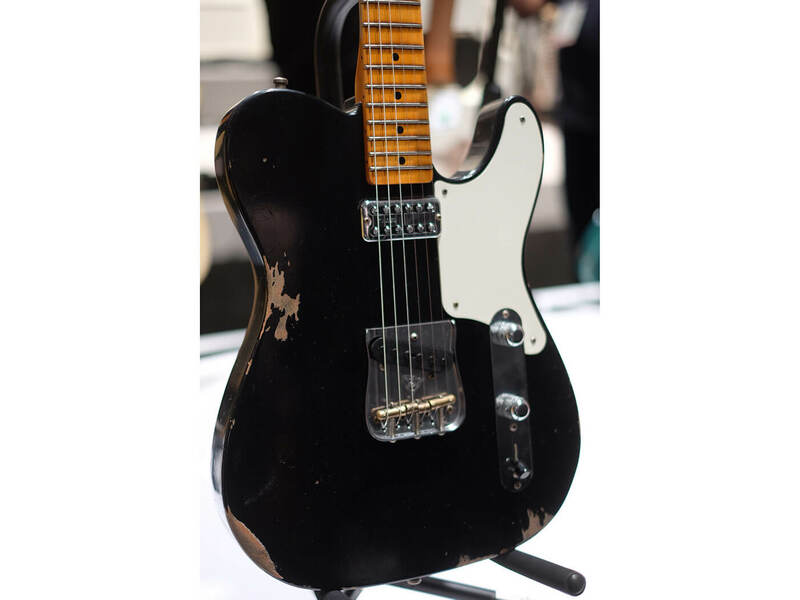 The guitar hosts an alder body, mahogany neck, original Blackguard Tele (bridge) and a TV Jones Classic Filtertron (neck) pickups. 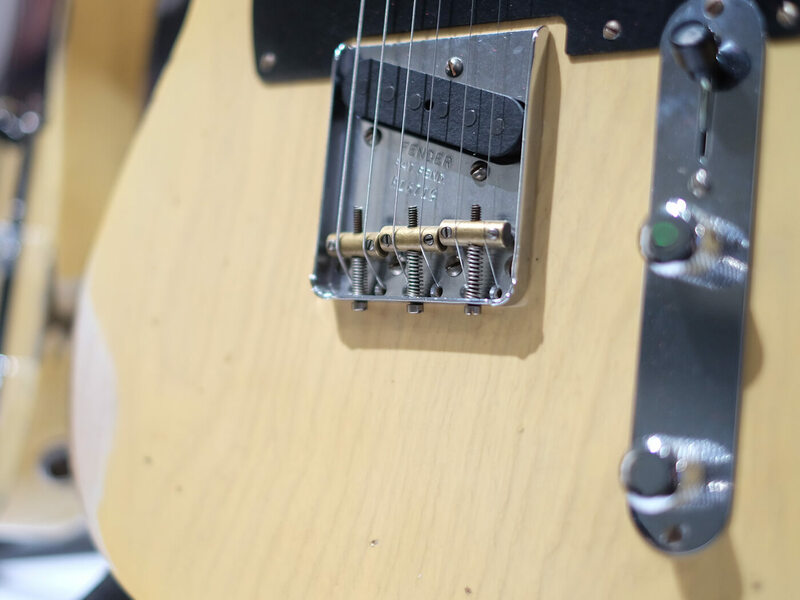 There is an RSD Tele bridge and Schaller® M6 mini tuning machines for ultimate stability and intonation. 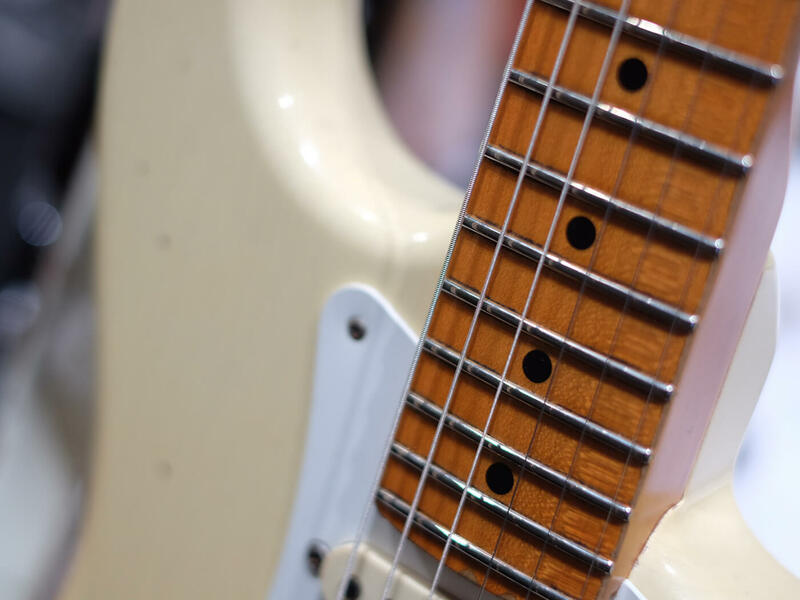 Buehl added a custom clear pickguard to allow the duco finish to shine through. 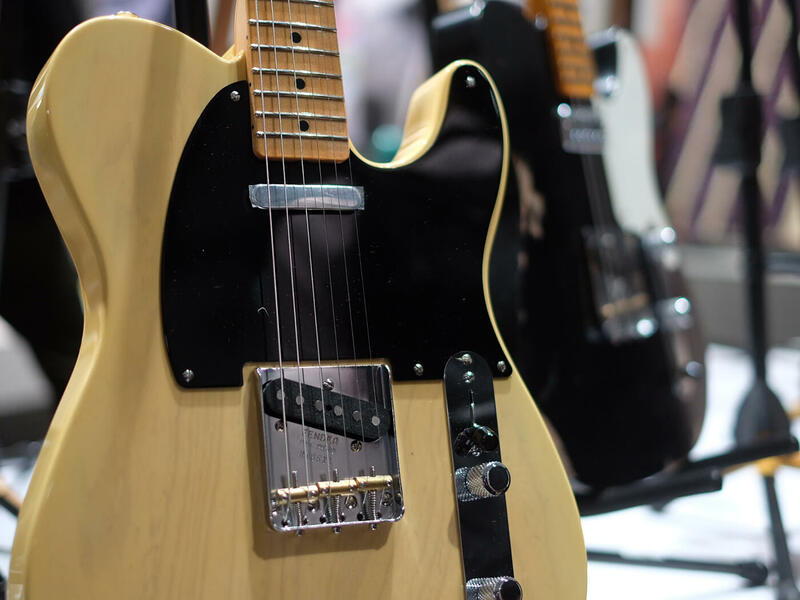 All these features together create a classic Tele with a host of never-before-seen features. 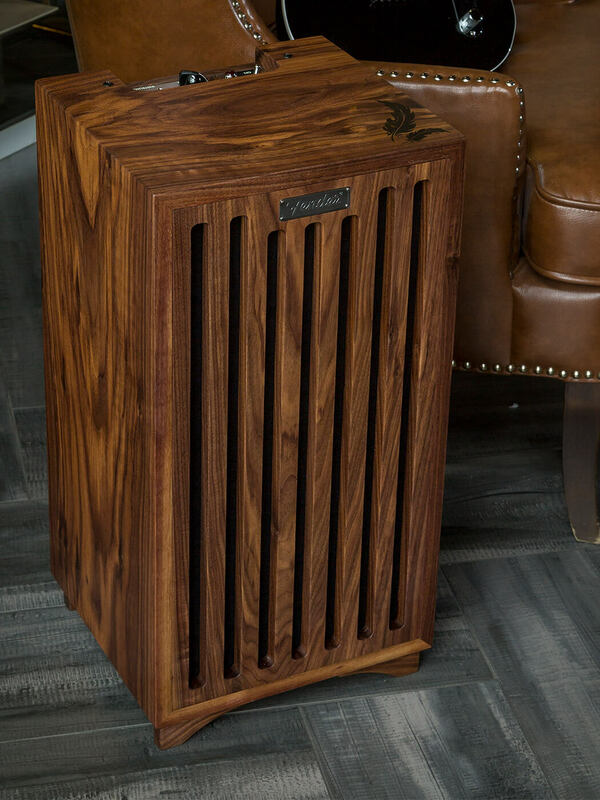 Masterbuilt by Shawn Greene, this amp is one-of-a-kind featuring all-solid walnut construction, hand-rubbed oil finish. 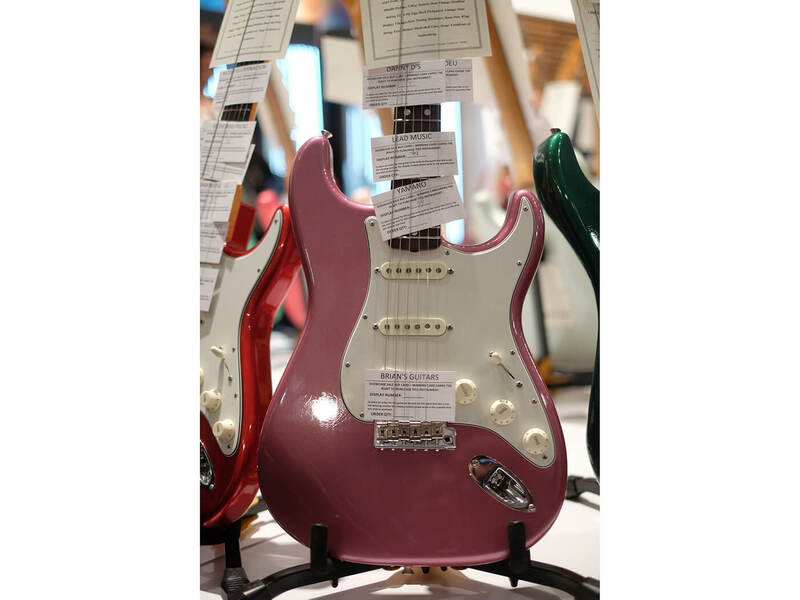 It also acts as musical furniture or an end table for use in the living room or studio. 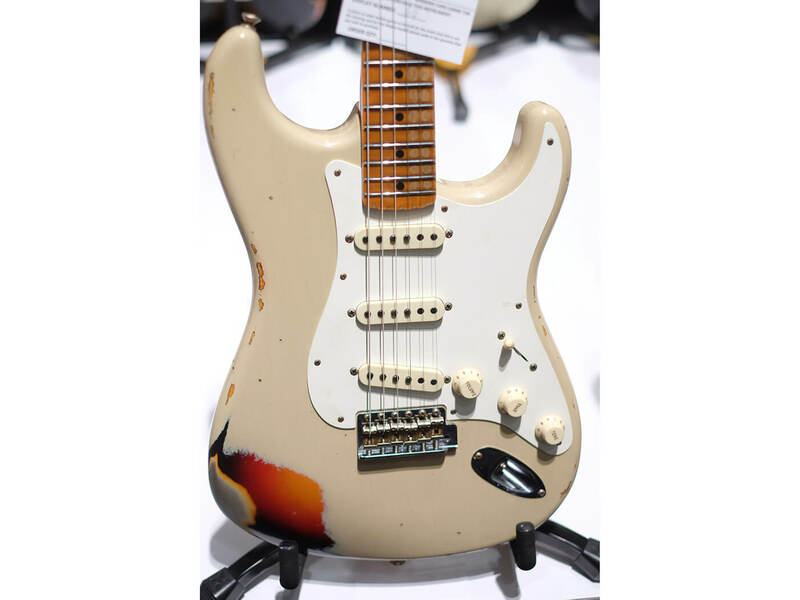 The amp also includes a ’57 Champ circuit; hand-wired with Fender “yellow” tone caps; two custom Celestion G8 speakers for “double champ” performance; and a slotted walnut grille. 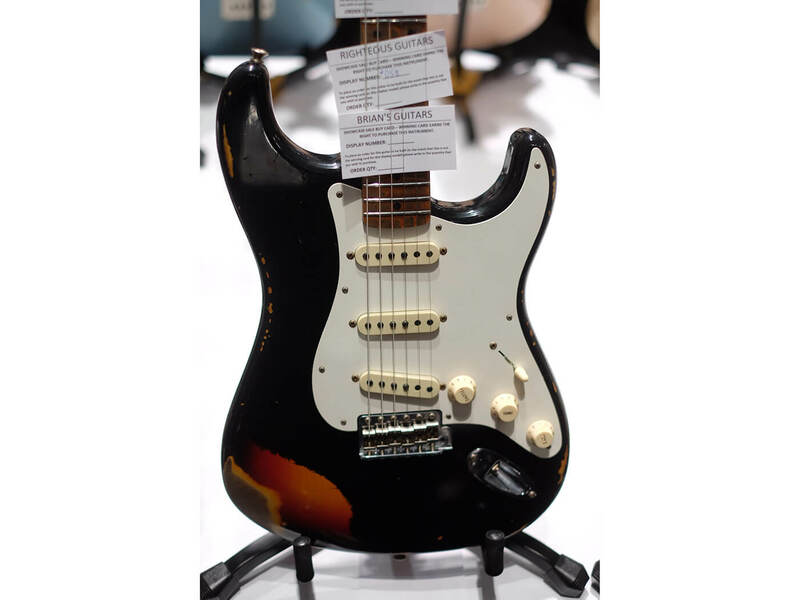 It’s backed by “sound suede” grill cloth and has a tasteful black ebony feather inlay on top corner. 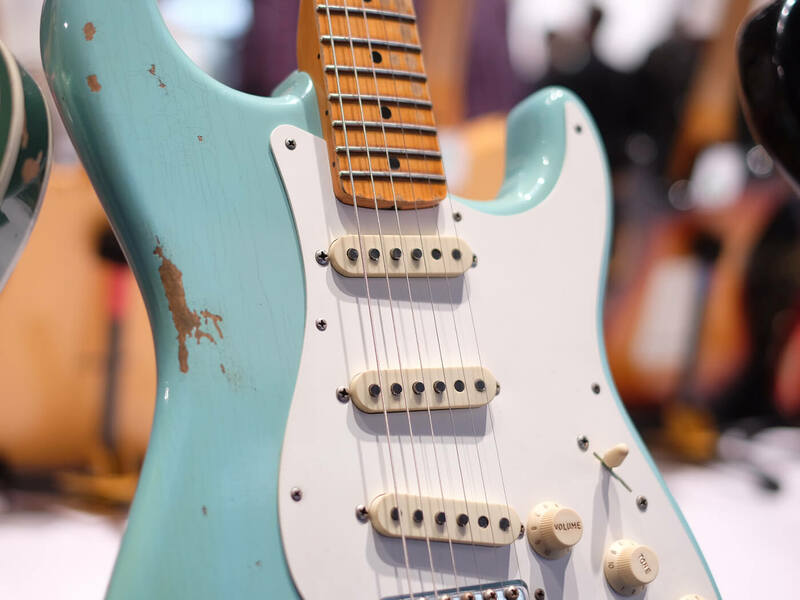 Light those patio torches and grab that Strat, because the Fender Amp Custom Shop has combined the exotic spirit of the South Sea islands with a sonic slice of Fender history in the gorgeous form of the ’64 Deluxe Tiki amplifier. 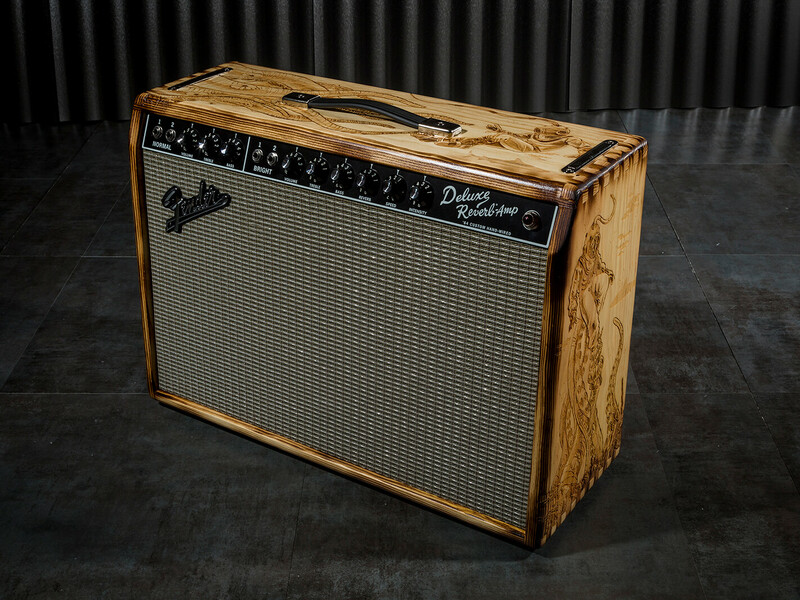 Elegantly designed and crafted by Amp Custom Shop Master Builders Shawn Greene and Jim Dolmage, the amp’s rustic select-pine cabinet is beautifully laser-etched with stylised Polynesian Tiki imagery inspired by the work of Fender designer Mike Whelan. 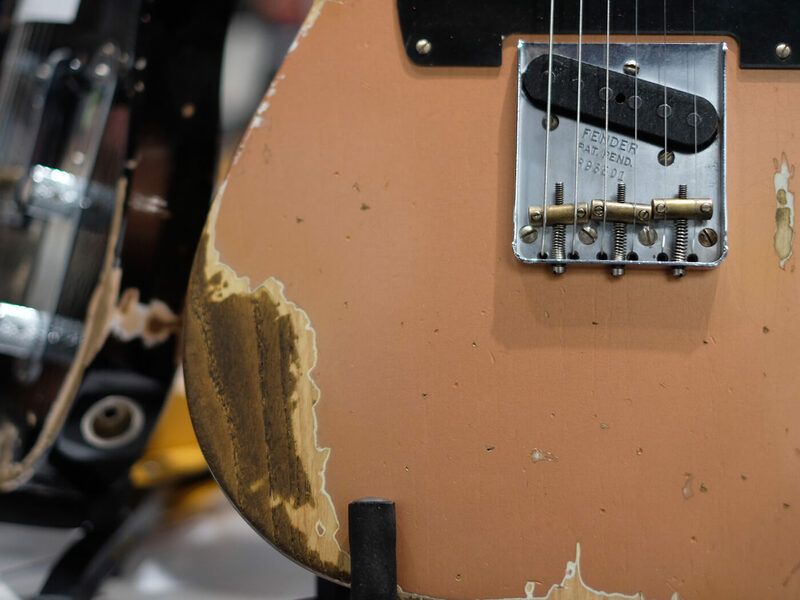 The amp also features “torched” wood-burnt cabinet edges, hand-wired `64 Deluxe Reverb circuitry, a single 12” Celestion Cream speaker and a Custom Shop logo on the back. 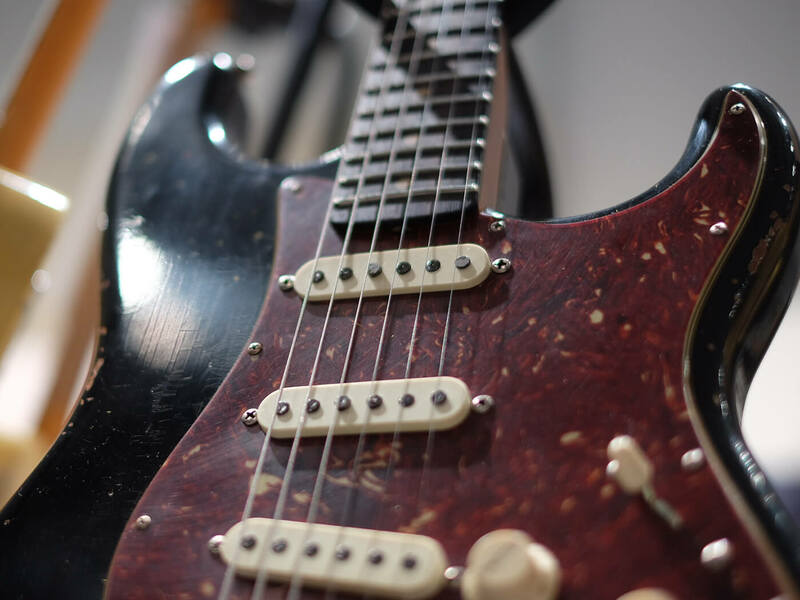 This unusually distinctive one-of-a-kind amp is paired with a matching Tiki Stratocaster guitar that will have you soloing over “My Little Grass Shack in Kealakekua” in no time (if you can after all that rum punch). 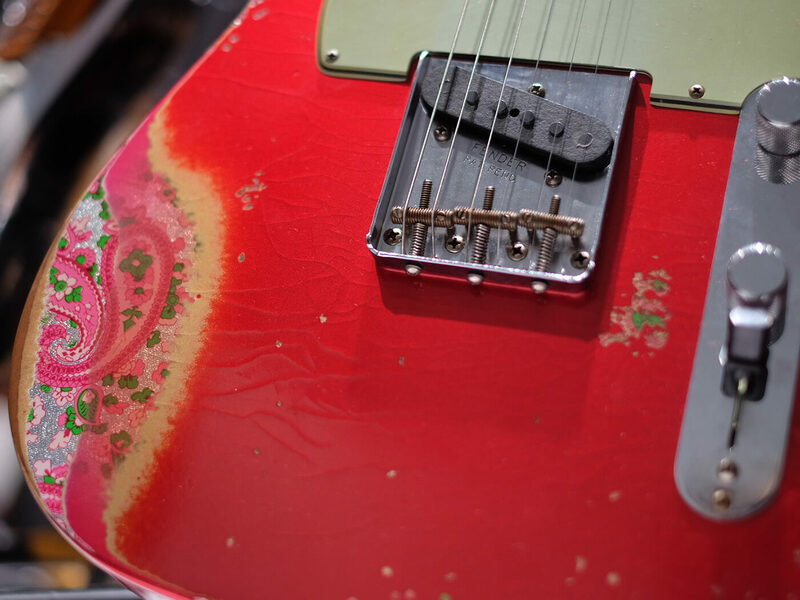 From the bottomless creative depths of the Fender Amp Custom Shop comes a most unusual one-of-a-kind piece combining perhaps the most fearsome of all fabulous sea beasts with a classic sonic slice of Fender history—the ’64 Deluxe Kraken amplifier. 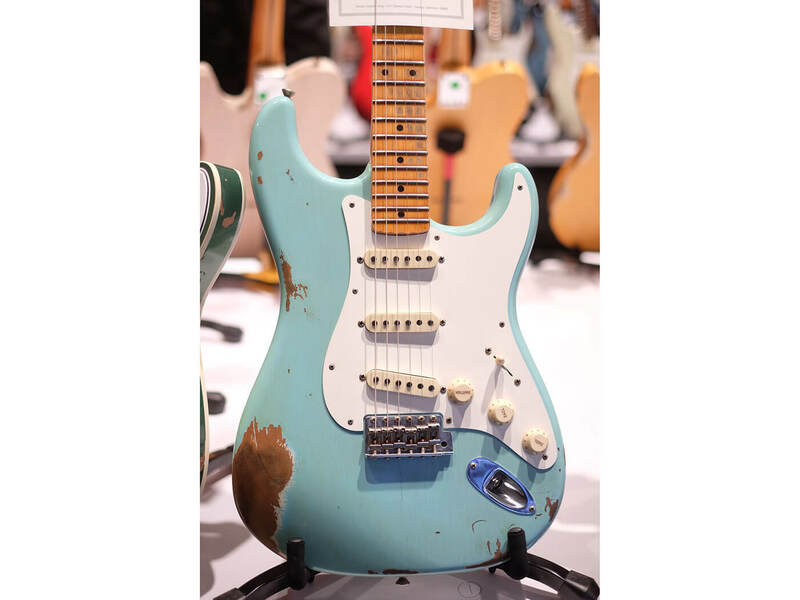 Elegantly designed and crafted by Amp Custom Shop Master Builders Shawn Greene and Jim Dolmage, the amp’s rustic select-pine cabinet features exquisitely laser-etched imagery (inspired by the work of Fender designer Mike Whelan) depicting a deep-sea diver of old in truly dire straits—entangled in the formidable tentacles of the enormous Norwegian sea monster that once struck stark terror into the hearts of seafarers everywhere: The Kraken. 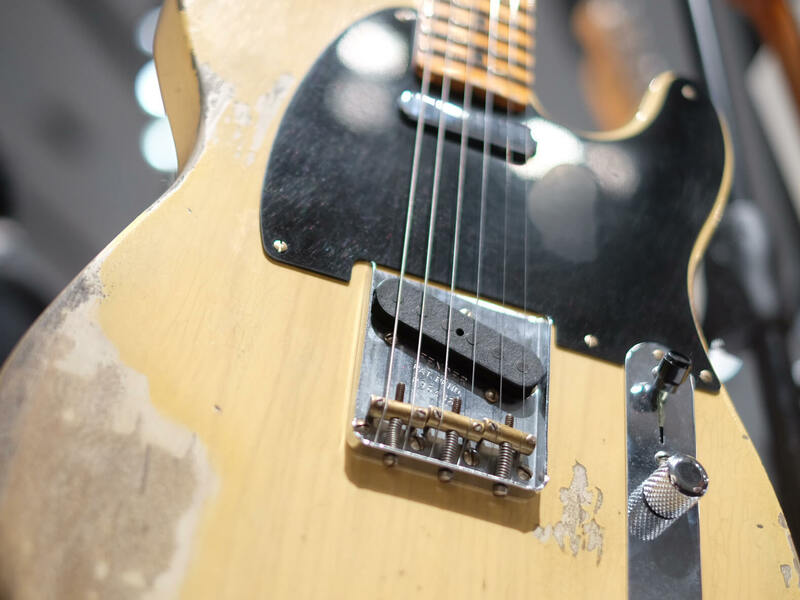 The amp also features “torched” wood-burnt cabinet edges, hand-wired ’64 Deluxe Reverb circuitry, a single 12” Celestion® cream speaker and a Fender Custom Shop logo on the back. 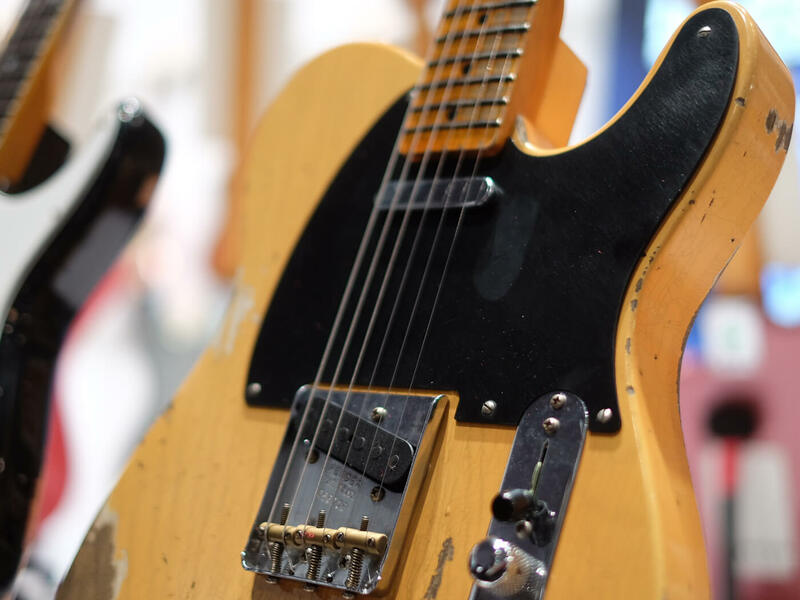 This unusually distinctive one-off amp is paired with a matching Kraken Telecaster guitar with which you can explore untold musical depths.